For more than a century, CIBC Commercial Banking has been helping businesses reach their full potential. 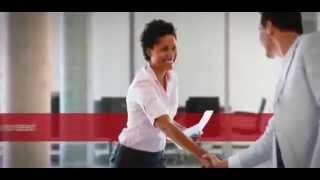 As an Associate, Commercial Banking, you can begin preparing to build a challenging and rewarding career as a world-class Commercial Banker and strategic partner to some of Canada's leading companies, who will be committed to delivering on flexible business solutions, dedicated business expertise and timely business advice to help clients realize their goals. As an Associate, you will join CIBC's Commercial Banking team to provide support to account teams through client acquisition, relationship management and credit management processes as well as providing transactional support for client specific financing solutions. This is a development role for the Commercial Banking Line of Business providing an opportunity to learn the products, processes, networks and functions to enable and equip the candidate to eventually progress to the Relationship Manager role. • Business Development Support - Assist Managers, Commercial Banking in coordinating activities through the sales cycle and liaising with other units of CIBC as necessary. Assist with the execution of business development initiatives through contribution to the achievement of growth targets by identifying business opportunities and developing financing solutions to meet the needs of the client. • Client Service - Proactively assess our clients' needs and propose solutions to deliver to meet those needs. Interact with assigned clients as required to facilitate prompt response to questions, enquiries or issues in order to provide "best in class" service. Apply acquired industry/company knowledge to the development of client/prospect proposals for financial and strategic solutions to meet client needs. • You are a team player and have the ability to work well within a group setting. Must have the ability to work on teams that generate ideas and implement solutions for clients. • You put our clients first. You have strong client and relationship management skills. You engage with purpose to find the right solutions. • You have a solid understanding of financial statements and accounting principles including valuation techniques and cash flow analysis. Knowledge of commercial banking products and service offerings is an asset. • You're driven to succeed. You are motivated by accomplishing your goals and delivering your best to make an impact. You havestrong client and relationship management skills, and can demonstrate an aptitude for business development (sales) skills. • This is a regular full time role with a schedule of 37.5 hours each week. You may have to work flexible hours to meet client and team requirements.